i. India and UAE have signed an agreement on Currency Swap. The two countries also signed a Memorandum of Understanding for Development Cooperation in Africa. The documents were signed after the 12th session of India-UAE Joint Commission Meeting for Economic and Technical Cooperation. ii. 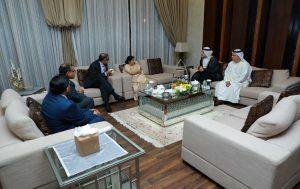 The meeting was jointly co-chaired by External Affairs Minister Sushma Swaraj and her UAE counterpart Sheikh Abdullah bin Zayed Al Nahyan in Abu Dhabi. The UAE's President: Khalifa bin Zayed Al Nahyan, Capital: Abu Dhabi, Currency: United Arab Emirates dirham. i. 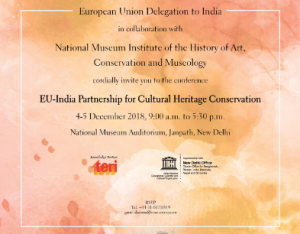 The two-day conference on the partnership between the European Union and India for Cultural Heritage Conservation commenced in New Delhi. ii. Over 30 leading experts deliberated on issues being faced in cultural heritage conservation and exploring innovative solutions to tackle challenges of climate change and urbanization. i. 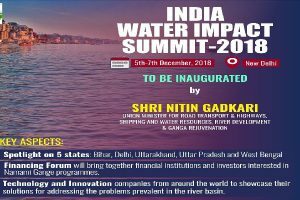 Union Minister for Water Resources, River Development and Ganga Rejuvenation Shri Nitin Gadkari has inaugurated India Water Impact Summit 2018, being jointly organized by the National Mission for Clean Ganga (NMCG) and the Centre for Ganga River Basin Management and Studies (cGanga) in New Delhi. ii. The India Water Impact Summit is an annual event where stakeholders get together to discuss, debate and develop model solutions for some of the biggest water-related problems in the country. The spotlight is on the 5 states, Uttarakhand, Uttar Pradesh, West Bengal, Delhi, and Bihar. i. Ministry of Railways’ National Rail Museum (NRM) and Madame Tussauds Wax Museum join hands together to provide an amazing combo offer to Delhi NCR tourists. As a part of the collaboration, a special discount of 35% on ticket prices will be offered to NRM visitors when they visit the Madame Tussauds Museum. ii. Similarly, Madame Tussauds Wax Museum visitors will be getting an attractive discount of 30% on combo packages of NRM. National Rail Museum (NRM), managed by Indian Railway, is one of the top edutainment tourist destinations of Delhi NCR area having an annual footfall of more than 5 lakhs. In 2017, Madame Tussauds opened its 23rd Wax museum in Connaught Place (CP), New Delhi. John Mathai was the first railway minister of independent India. i. The Japanese Air Self Defence Force (JASDF) held a bilateral air exercise SHINYUU Maitri-18 with Indian Air Force at A F Station Agra. The theme of the exercise is joint Mobility/Humanitarian Assistance & Disaster Relief (HADR) on Transport aircraft. ii. IAF participated with An-32 and C-17 aircraft with aircrew & observers. The focus of the exercise was the IAF and JASDF crews to undertake Joint Mobility/ HADR operations. i. 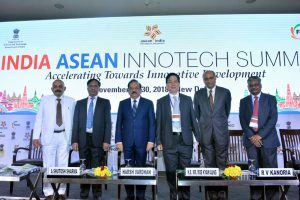 The first India-ASEAN InnoTech Summit was held in New Delhi. It was organized by Federation of Indian Chambers of Commerce & Industry (FICCI) in association with the Department of Science & Technology (DST) and Ministry of External Affairs. ii. Participating ASEAN member countries in this summit were Brunei, Cambodia, Indonesia, Lao PDR, Malaysia, Myanmar, Philippines, Singapore, Thailand, Vietnam. 10-member ASEAN comprises of Indonesia, Malaysia, Thailand, Singapore, Philippines, Vietnam, Myanmar, Cambodia, Brunei and Laos. India is a full dialogue partner of the ASEAN. i. Prime Minister Narendra Modi will inaugurate the Bogibeel Bridge, on December 25. 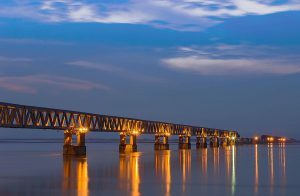 It is India’s longest rail-road bridge, connecting the north and south banks of the Brahmaputra, falling in the eastern part of Assam and Arunachal Pradesh. ii. The bridge is 4.94 km long. While former prime minister HD Deve Gowda laid the foundation stone for the Bogibeel bridge in January 1997, the work started only in April 2002 when former PM Atal Bihari Vajpayee inaugurated the construction. 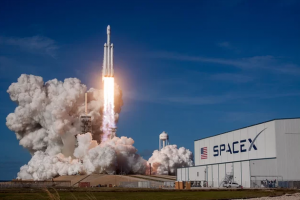 i. SpaceX successfully launched 64 small satellites, including India’s ExseedSAT-1 in the company’s largest-ever “rideshare” mission on a twice-reused Falcon 9 rocket that lifted off from a California launchpad. ii. The Falcon 9 rocket carried 15 micro-satellites and 49 CubeSats belonging to 34 different clients including public, private and university sources from 17 different countries across the world including South Korea, France and Kazakhstan. Elon Musk is the founder of SpaceX. i. India’s heaviest, largest and most powerful satellite GSAT-11 was successfully launched by an Arianespace rocket from the French Guiana. 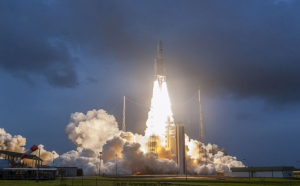 Blasting off from the Ariane Launch Complex in Kourou, the Ariane-5 vehicle injected the GSAT-11 into the orbit in a flawless flight lasting about 33 minutes. ii. The satellite will play a vital role in providing broadband services across the country and also be a platform to demonstrate new generation applications. Director: K. Sivan, Headquarters: Bengaluru, Established in: 1969.
i. 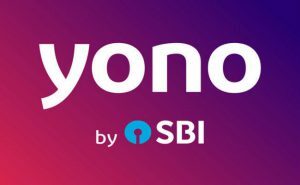 State Bank of India has roped in Asian Games gold medalist Swapna Barman as brand ambassador for its digital app YONO. YONO, the bank's digital platform that makes both lifestyle and banking available through a single app, was launched exactly a year back. ii. Swapna won Gold medal in Heptathlon in Jakarta Asian Games with a score of 6026 and is looking to break the 6200 score barrier to qualify for the Tokyo 2020 Olympics. 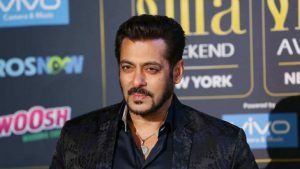 i. Bollywood superstar Salman Khan is the richest Indian celebrity, according to the 2018 Forbes India Celebrity 100 list, which he has topped for the third consecutive year. Shah Rukh Khan has fallen out of the top 10 list. ii. Indian cricket captain Virat Kohli jumped one spot to the second rank, with total earnings of Rs 228.09 crore, a sharp increase of 116.53 percent from the previous year. Actor Akshay Kumar completed the top three, with Rs 185 crore in earnings in the period under consideration for the list. i. 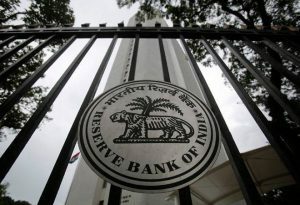 The Reserve Bank of India has kept the policy repo rate under the liquidity adjustment facility (LAF) unchanged at 6.5%. Consequently, the reverse repo rate under the LAF remains at 6.25%, and the marginal standing facility (MSF) rate and the Bank Rate at 6.75%. Urjit Patel- 24th Governor of RBI, Headquarters- Mumbai, Established on- 1st April 1935, in Kolkata. i. World Soil Day is celebrated annually on the 5th of December at the Food and Agriculture Organization of the United Nations (FAO) headquarters in Rome, the regional offices and through national and local events. ii. #StopSoilPollution is the objective of this World Soil Day on 5 December and throughout the year. i. 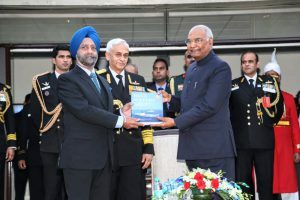 Admiral Sunil Lanba, Chief of the Naval Staff, released a book titled ‘Blue Waters Ahoy!’ – chronicling the Indian Navy’s History from 2001-10. 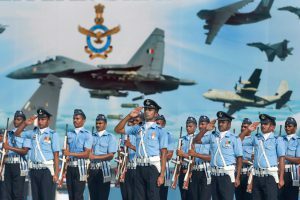 The unveiling was a part of an At Home function held at the Navy House in the presence of Ramnath Kovind, the President of India and the Supreme Commander of the Armed Forces. ii. 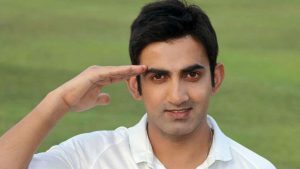 The book has been authored by Vice Admiral Anup Singh, who retired as the Flag Officer Commanding-in-Chief of Eastern Naval Command in 2011.
i. Gautam Gambhir has announced his retirement from all forms of Cricket. The 37-year-old announced his retirement on social media. A 12-year international career fetched over 10,000 runs for the country; 4,154 in 58 Tests, 5,238 in 147 ODIs and 932 in 37 T20Is. ii. Gambhir, who last donned India colors in a Test against England in November 2016, was part of Indian title-winning teams at both the 2007 World T20 and the 2011 World Cup top-scoring for India in the finals of both events.